Our first week back in Term 3 was full-on! The kids were introduced to a very exciting literacy project – A Tale Unfolds, from the U.K – which will see us creating an adventure movie in the span of 8 weeks! 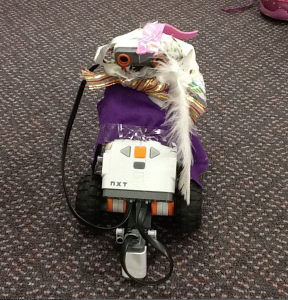 Then, on Thursday morning, the Robogals visited us with their Lego robots!! 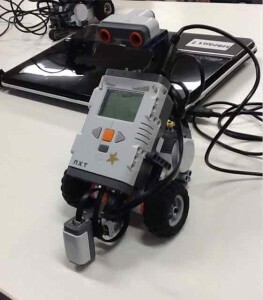 One of the Lego robots we got to program. The Robogals is a University-Student run organisation that aims to increase female participation in Engineering, Science and Technology. They had visited me at my previous school, so I made sure I booked them early last year so they could come and encourage female students at Yahl. Luckily, all students are able to participate in the fun, so girls and boys alike had a heap of fun on the day. Our mission: to program Lego robots to perform a series of dance moves. Once we’ve taught the robots, they’ll have to battle it out in a dance-off! And here is the final ‘dance-off’! Overall, it was a splendid activity. 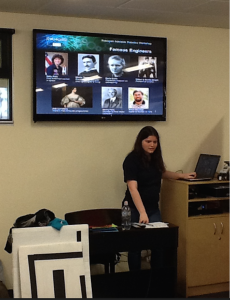 Our students were able to built on their Scratch programming skills and transfer their knowledge to a new environment. My name is Sarah you are my mentor. I love your blog. visit again.